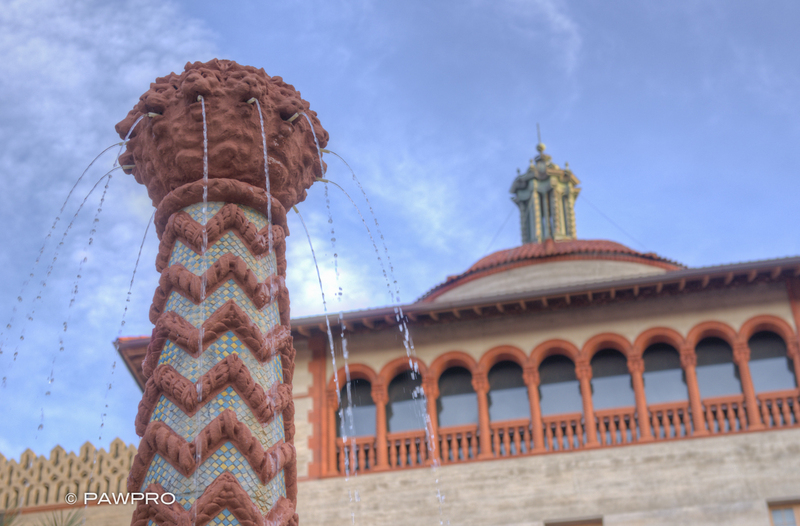 I had the pleasure of stumbling into St. Augustine, Florida just prior to its 450th Anniversary last week, while I was in the process of college tours with my daughter. 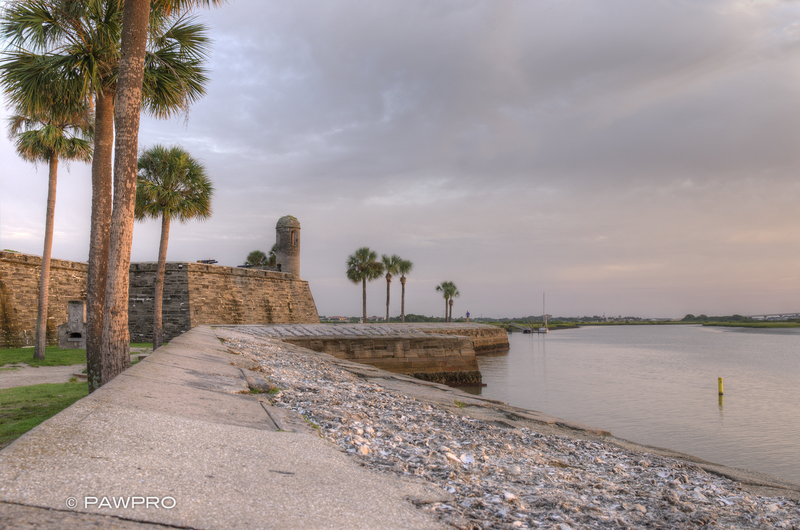 The town is the oldest permanently occupied European settlement in the U.S. 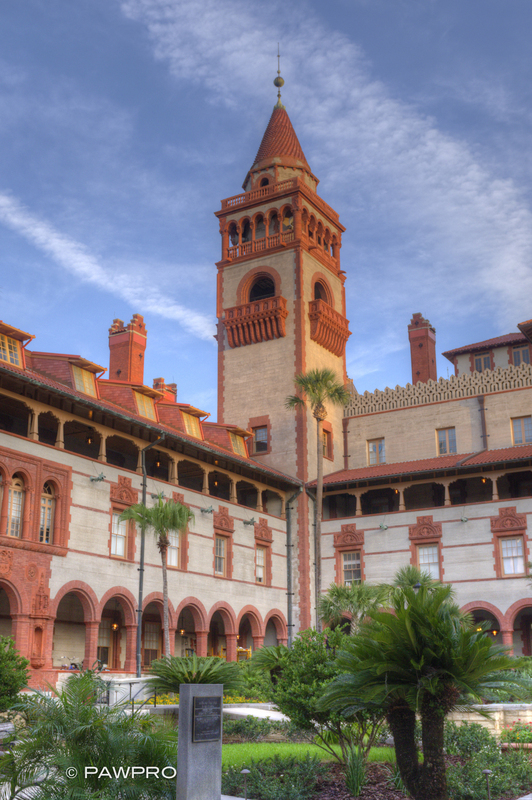 I am a graduate of Flagler College, situated in St. Augustine, and was happy to see my daughter include it on her list of potential schools. The town was putting last minute touches on preparations for its scheduled weekend celebrations, which includes a visit from King Felipe and Queen Letizia of Spain and a series free concerts including Aaron Neville, Emmylou Harris, and Rodney Crowell. I had time to get a few photos of this beautiful town and unique college setting while we were there. Nighttime photo of Lions Bridge and Anastasia Island in St. Augustine, FL. 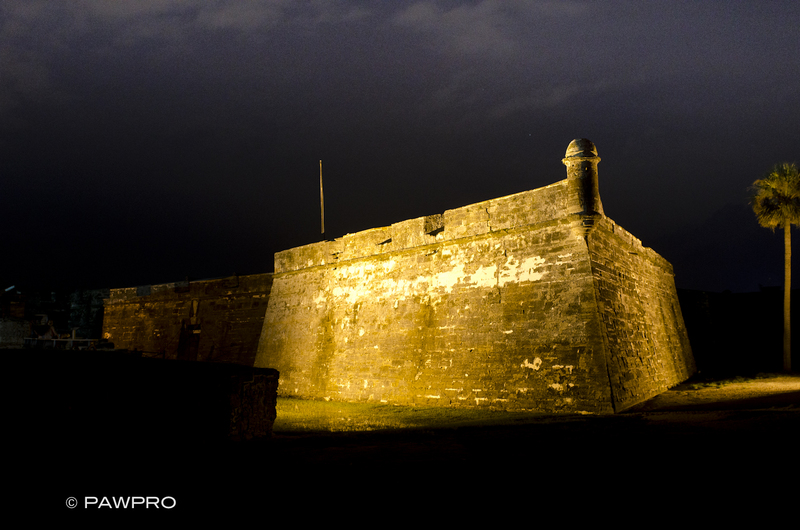 Nighttime photo of Castillo de San Marcos in St. Augustine, FL. 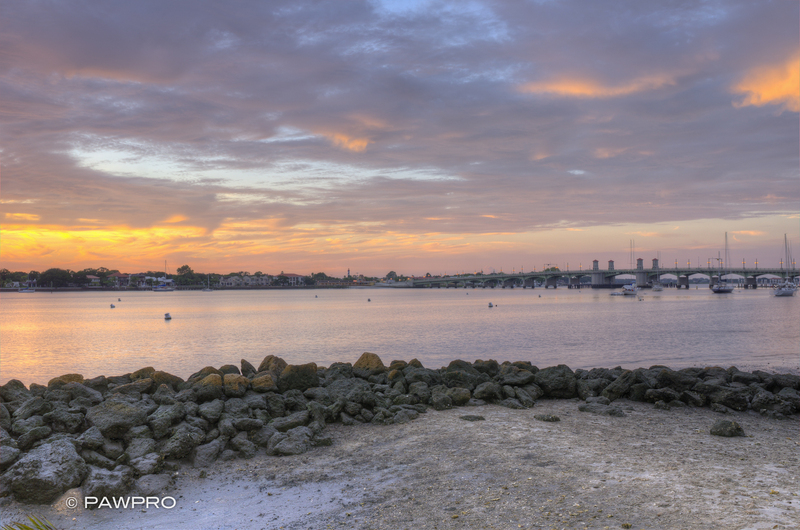 Dawn at Lions Bridge and Matanzas River in St. Augustine, FL. 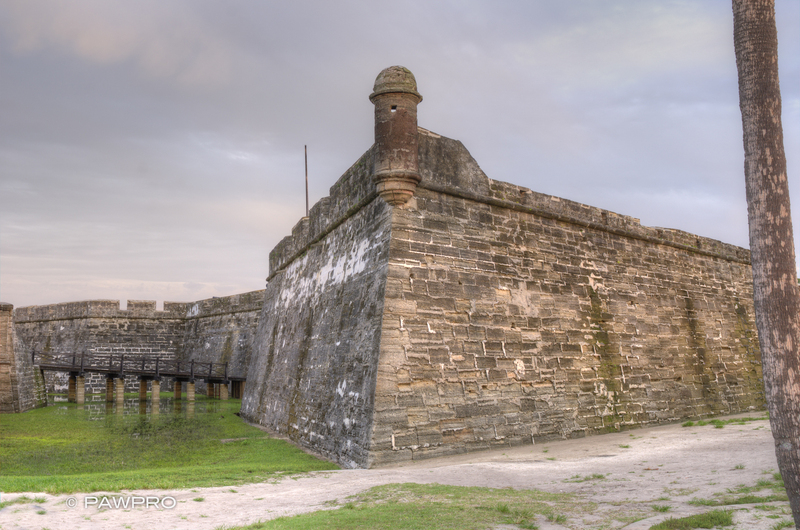 Castillo de San Marcos, St. Augustine, FL. 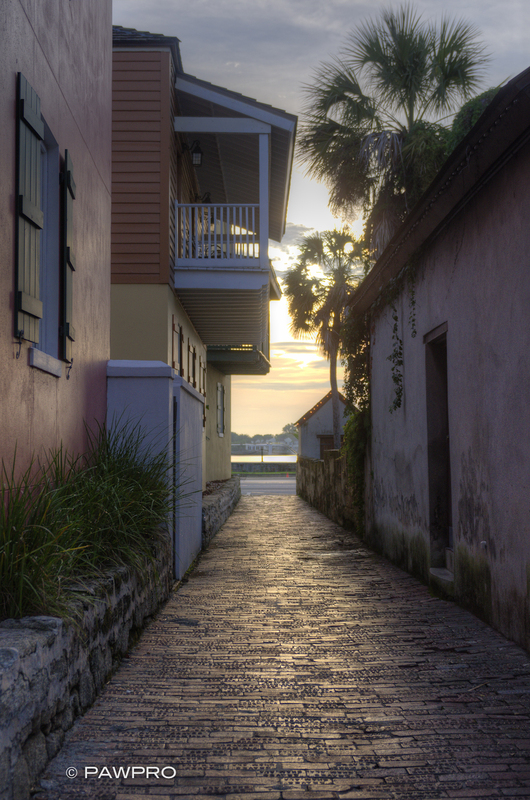 St. George Street, St. Augustine, FL. 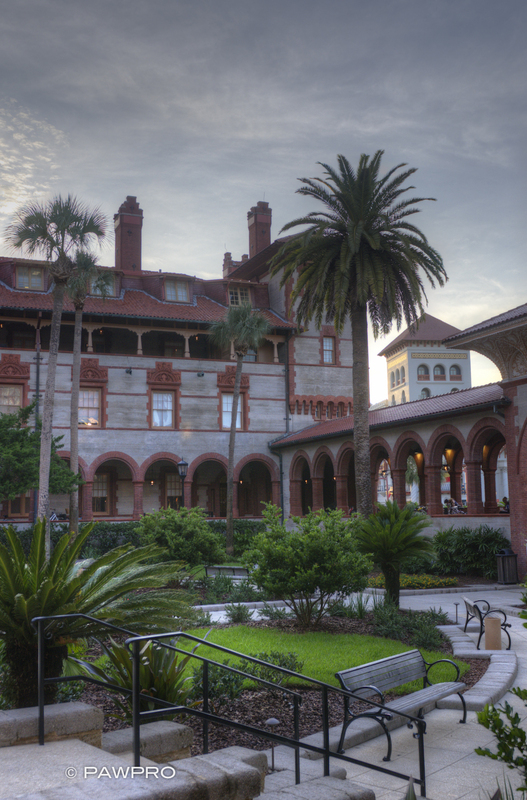 Flagler College, formerly Ponce de Leon Hotel, courtyard built by Henry Flagler. 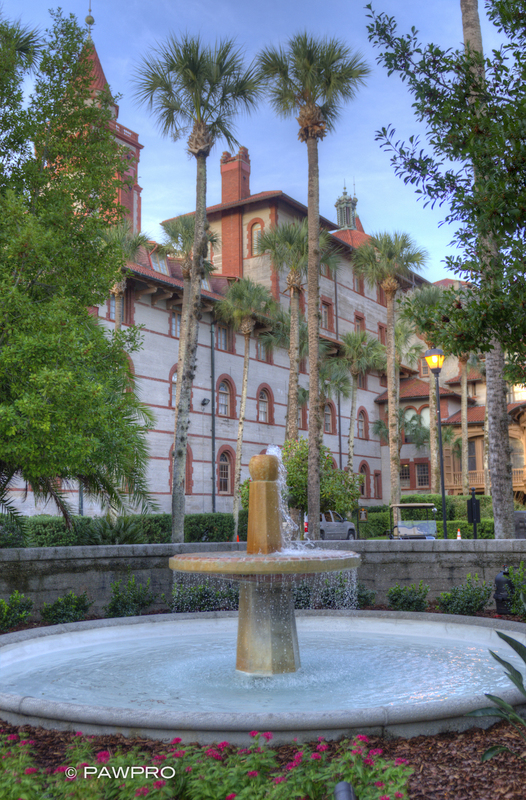 Flagler College courtyard, sundial, fountain. 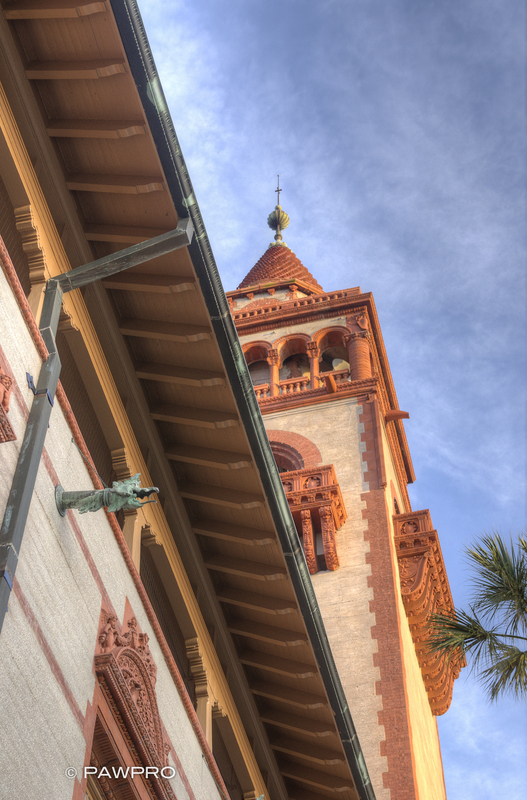 Flagler College gargoyle drains and tower. 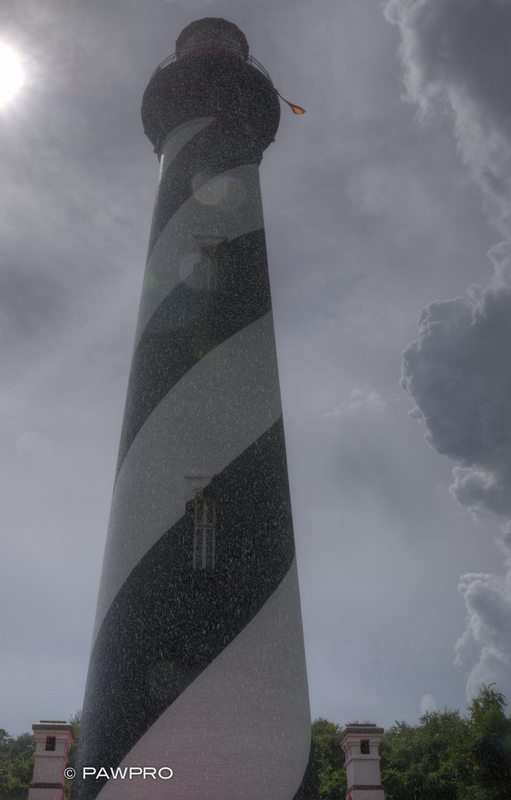 The town has only improved with the passage of time. 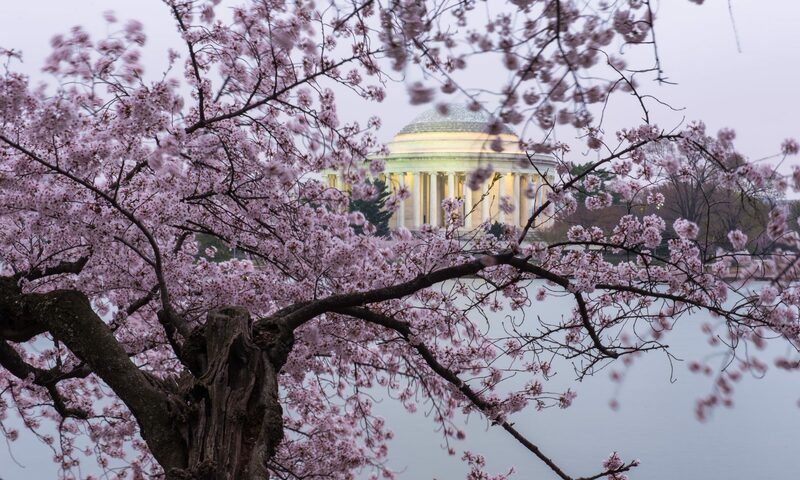 As a tourist locale, there’s no shortage of things to do and see. 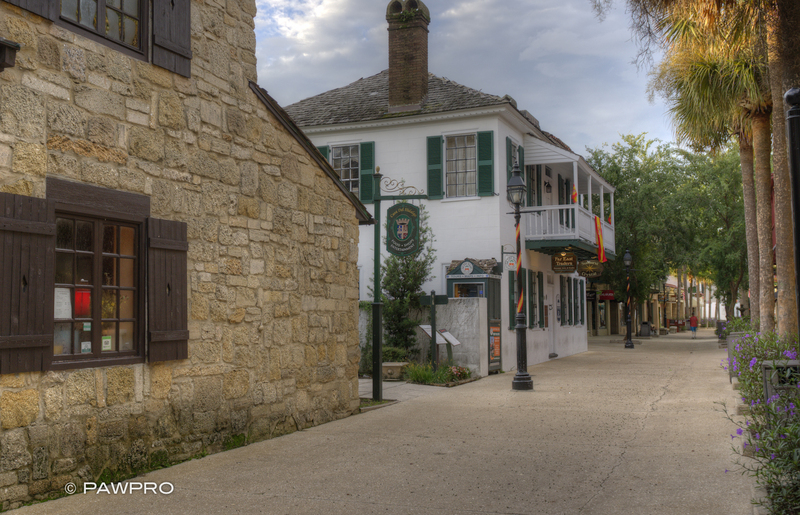 Historic St. Augustine, FL side street.